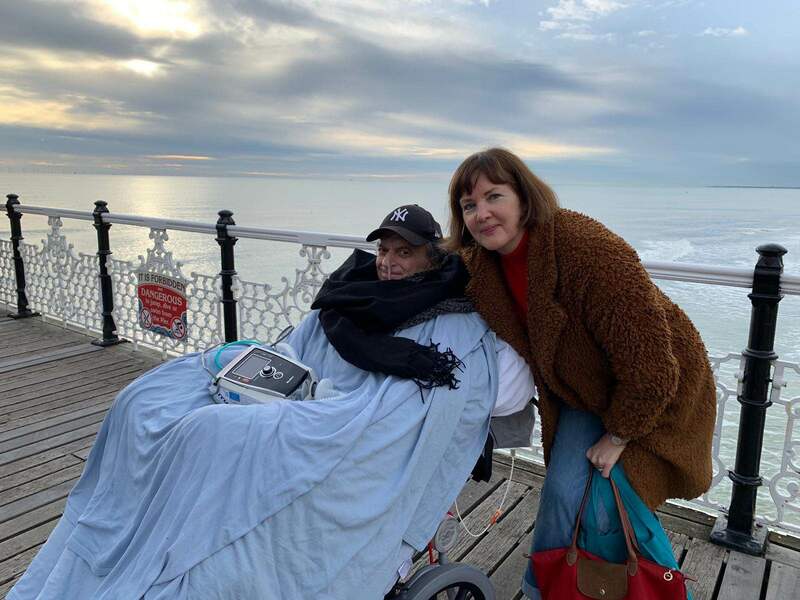 The intensive care team from Northwick Park Hospital has met the wishes of a terminally ill patient to visit the seaside. Renowned economist Laza Kekic spent the day in Brighton with his wife Joan where the couple shared many happy memories. The couple were joined on the seafront by family and friends including Laza’s four children Natalia, Maria, Tanya and Luka. Mr Kekic, 62, has spent the past four months in hospital after having been airlifted back to the UK after falling ill on holiday. Mr Kekic, the former Regional Director for Europe and Director of Country Forecasting Services at The Economist Intelligence Unit, struggled with pneumonia, sepsis and multi-organ failure before further investigation revealed pancreatic cancer. The couple were accompanied by consultant Mike Dean and nurse Julius Lukban and transported to and from Brighton by the Ambulance Wish Foundation. The foundation gives terminally ill patients the resources, transport and medical care they need to fulfil their final wishes. Dr Dean, an intensive care consultant who has been looking after Mr Kekic, said: “Few intensive care patients are stable enough to travel outside a hospital environment so it called for something out of the ordinary to help Laza. Joan added: “It’s been very tough but we’re trying to make each day as good as possible. Laza’s determination and positive outlook are an inspiration. The couple’s favourite Brighton hotel, Jury’s Inn, generously agreed to provide a sea view room as a base from which the couple could visit the sea front.